Breeze FM Owner, Michael Daka has been conferred with Zambia’s highest honour, the 50th Independence Anniversary, First Ever Special Single Class Golden Jubilee Medal for distinguished service. 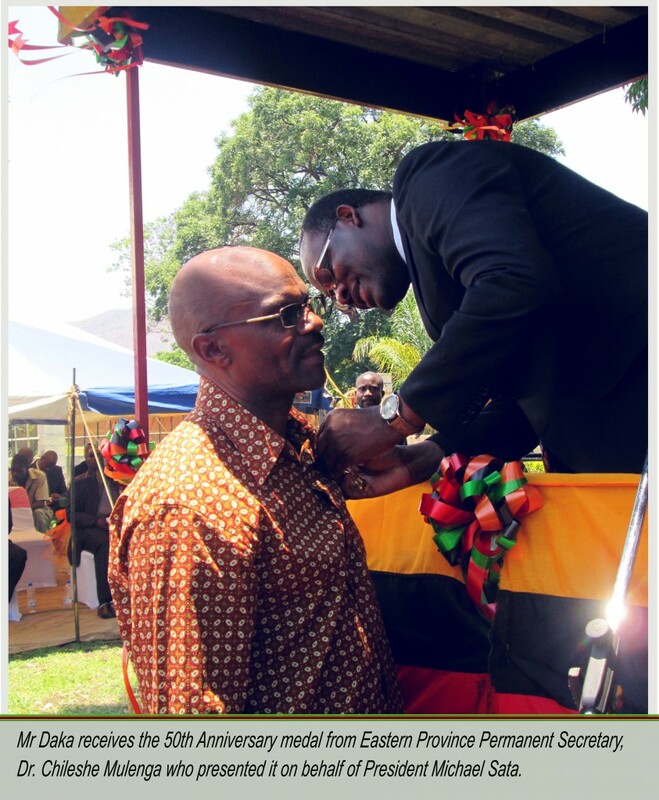 Mr. Daka is among 1,356 people across the country who were awarded this special medal by President Michael Sata as part of the country’s golden jubilee celebrations. He is the only journalist in the country to have received this special medal. Prominent people who also received the medal include the first Zambian President, Dr. Kenneth Kaunda, members of the first Cabinet, the first Chief Justice, former Speakers of the National Assembly, defence chiefs and freedom fighters. Mr. Daka has more than 40 years of media experience and is credited with the transformation of the in-service media training school, the Zambia Institute of Mass Communication (ZAMCOM) and the setting up and managing of Breeze FM Radio Station, which is the dominant channel of communication in Eastern Zambia.